Wolf Alice are great. Too many girl fronted guitar bands still hinge on the patronizing novelty of a girl getting heavy. This London four-piece hinge on the fact that Ellie Roswell is one of the best vocalists going. 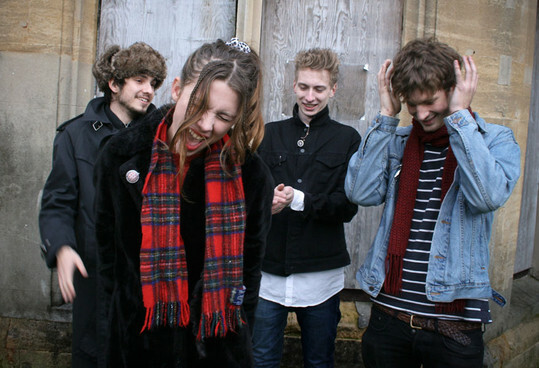 Their debut single Fluffy, which we got all exited about when we heard it live, kicks off in a sultry flurry of big guitars and breathless bedroom-eyed vocals before climaxing beatifically in a huge anachronistic clash of howling restlessness that crushes any expectation of Wolf Alice opting for an easy, Peace style, anthemic chorus. The track shows off everything we love about the band and -with NME nursing a raging ‘crush’ on them- it can’t be too long before they’re hitting bigger stages.